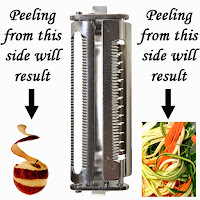 Having just planted our family garden weeks ago, I am very excited to have this 2 in 1 Julienne & Vegetable Peeler. Unlike other product I have tried in the past this product is top of the line for the price. It is very sharp and has a good weight to it. To me it is so much safer then using a knife, believe me I have cut myself many times in the past. This makes vegetable prep so much easier and faster, I ready to bring on the veggies from my garden this year! It is dishwasher safe, but also comes with a little brush for more detailed cleaning. 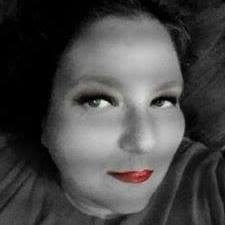 This is not the 1st product I have tried from this same company and I have and continued to be impressed! It was built to last and will be a kitchen gadget you will find yourself using all the time, year after year! This would make a great gift for a wedding, housewarming or in general. 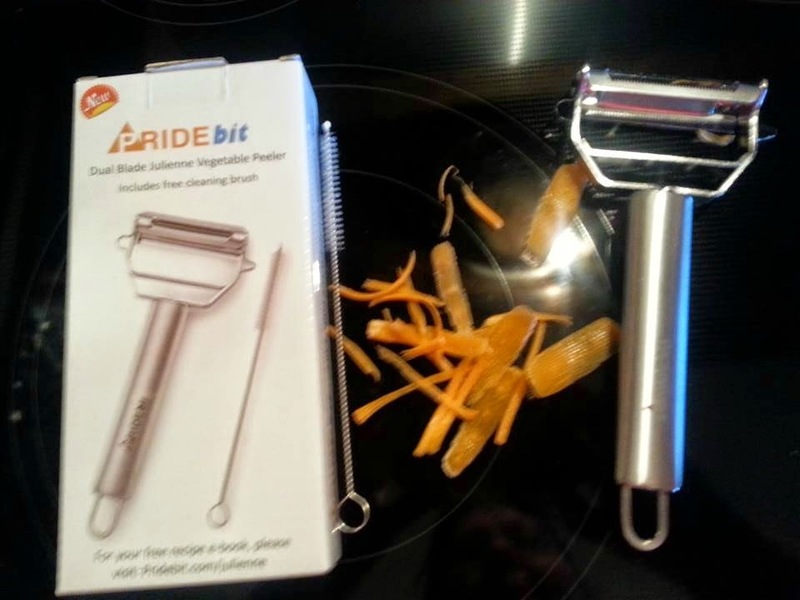 Julienne & Vegetable Peeler By Pridebit is a time saving tool that can help you to prepare restaurant-quality dishes at home. 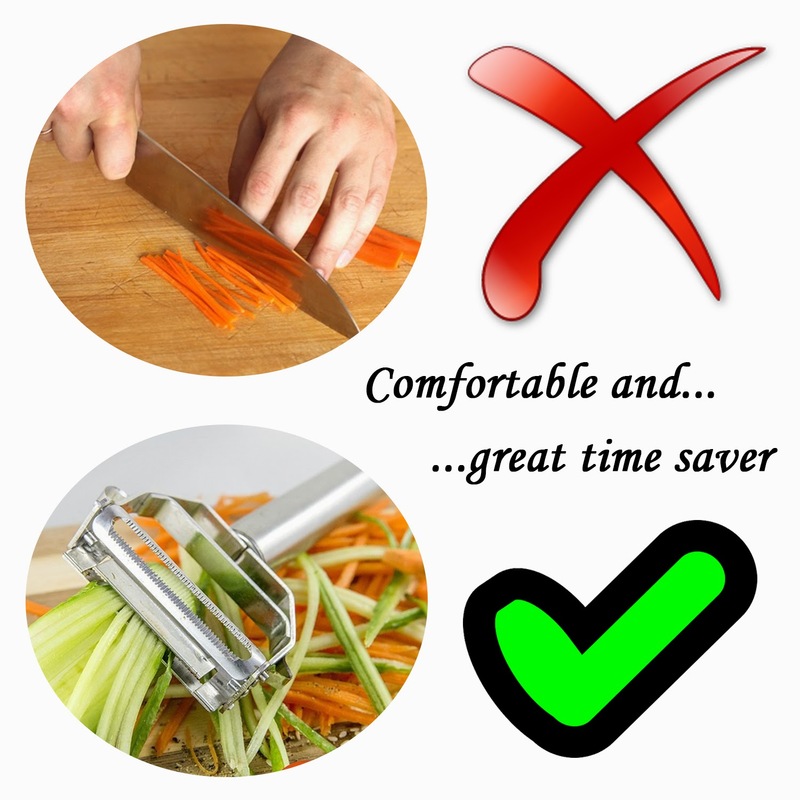 With super sharp blade, finally you can Julienne your veggies like a pro!! - Efficient and easy to use - Sharp blades julienne and peel fruit and vegetables effortlessly. 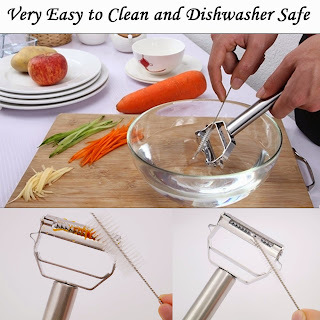 - Essential kitchen tool for a healthy lifestyle. Quickly prep nutritious, delicious food. 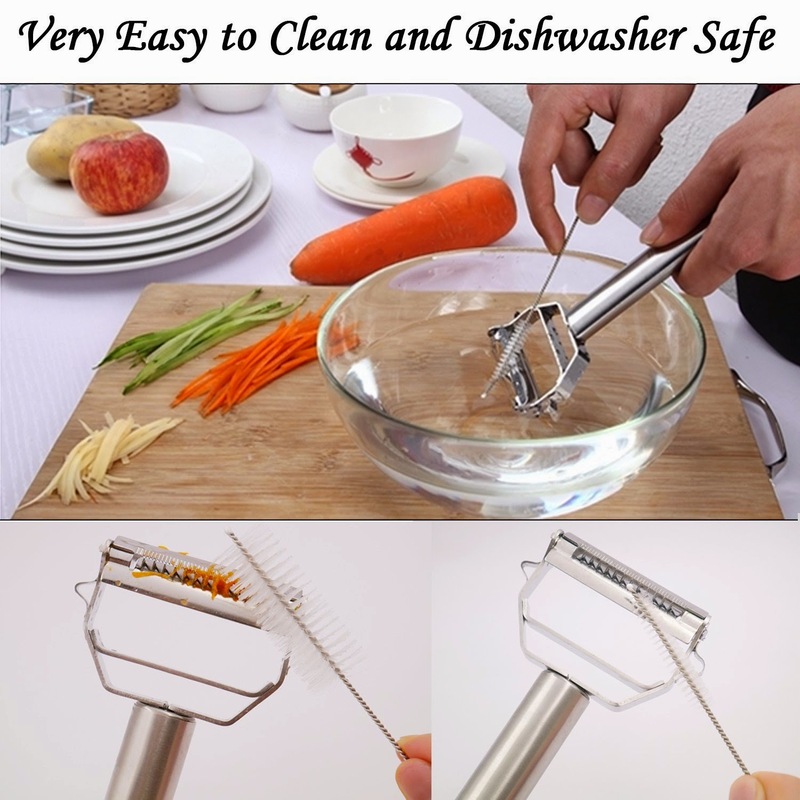 - Professional quality - Made from high-quality, dishwasher-safe stainless steel that stays sharp. - Free recipe book - Try our great-tasting dishes! - Satisfaction guaranteed - Your satisfaction is our number one priority. 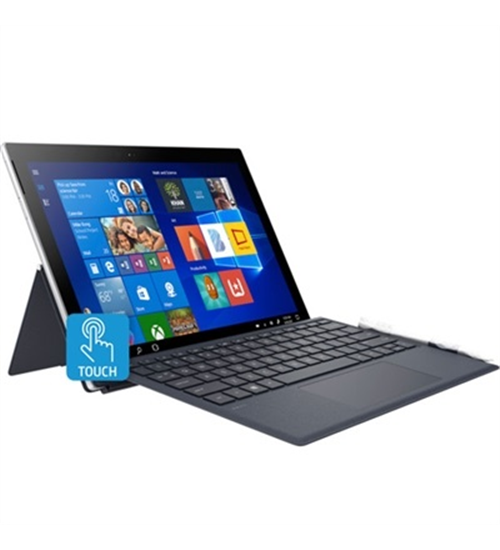 If you are not completely satisfied with your purchase we offer a 100% money back guarantee, no questions asked! - For the free recipe eBook, customer need to visit the URL which is provided on cover box. It's a pdf file which can be downloaded. This is not a cheap Julienne peeler that is easily broken. This is a high quality metal peeler that is made to last a lifetime of daily use.